For the next 10 weeks I will guide patients through a unique and highly effective approach to getting – and staying – healthy. Achieving optimal health is an ongoing process, and there are no “quick fixes”. 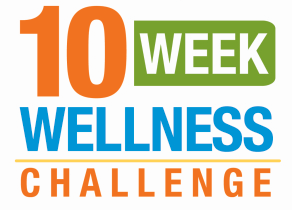 The key to this innovative approach is focusing on one aspect of wellness each week. By completing “bite sized” challenges, patients’ will gradually learn to take control of their well-being. Read on for a brief outline of the plan. Feel free to ask for additional details and resources. Challenge: Schedule an appointment for a chiropractic check-up. Doctors of chiropractic believe that the spine is the foundation of health. Unfortunately, even many so-called “holistic” health strategies often overlook this vital key to wellness. That is why I encourage people on the Jump-Start Wellness Plan to begin with a chiropractic check-up, because I focus on detecting and correcting dysfunctional regions in the spine called vertebral subluxations – a condition that occurs when motion is restricted or spinal bones (vertebrae) are out of alignment. Vertebral subluxations are associated with a myriad of health issues, such as headache, back pain, neck pain, ear infection and carpal tunnel syndrome. Chiropractors eliminate vertebral subluxations with gentle maneuvers called chiropractic adjustments. Scientific studies show that chiropractic adjustments effectively correct and prevent vertebral subluxations – and the conditions associated with them. Emotional stress – the hallmark of today’s society – is linked with a myriad of ailments, including vertebral subluxation, heart disease, stroke, cancer, infertility, headache, depression and insomnia. This week start stamping out stress by re-evaluating your daily schedule. Get creative. Free up some time by organizing a school carpool with similarly hurried parents. Consider swapping babysitting time with a neighbor or hiring a local teenager to take over some household chores. Wait 24 hours before responding to a substantial request for your time. Refuse to give in when pushy persuaders become crusaders for your time. Create a “saying no script” you are comfortable with. Explain that you are focusing on boosting your level of health and that means carving out additional time for yourself to prevent stress. Use the broken record technique with those who pester you repeatedly. This means responding to each attempt to change your mind with an ideal script. After you’ve carved out more time in your routine, investigate stress reduction techniques, and choose one to practice for at least 15 minutes, three times per week. Techniques to consider include yoga, meditation, breathing exercises, t’ai chi, and biofeedback, writing in a journal or engaging in a hobby or craft you enjoy. Resources: If you need help choosing a stress-reduction technique, feel free to ask me for help. I can help you choose the right technique for your lifestyle and provide referrals for related courses in the community; like The Moms Network (www.momsnetwork.com) and the At-Home Dad Network (www.athomedad.com) provide winning time-management suggestions for stay-at-home parents. For more information on saying “no” effectively, check out Conversationally Speaking by Alan Garner (Lowell House) or How to Say No Without Feeling Guilty by Patti Breitman (Doubleday). Challenge: Reconsider your use of unnecessary medication and reliance on drugs. Do you pop over-the-counter painkillers on a regular basis to alleviate afternoon tension headache? Do you run to the medicine cabinet after working out in search of relief from muscle soreness? Does your morning routine include guzzling several cups of coffee? Symptoms such as headache, back pain, muscle soreness, fatigue and restlessness are messages from your body screaming that something is amiss. If you’re relying on drugs to cover up symptoms, you’re ignoring your own inner wisdom, disrespecting your body and sabotaging your health goals. Massage and Chiropractic often go hand-in hand and should be considered for achy muscles and tension. Are you eating enough? This is often the cause of afternoon fatigue, especially if you aren’t getting 5 servings of vegetables and 2 servings of fruit per day. While, you should not discontinue the use of prescription medication without consulting the doctor who prescribed it or your pharmacist, you may choose to clean your cabinets of the over-the-counter painkillers and commit to addressing the cause of your health ailments – rather than merely masking symptoms. You may also want to consider all-natural alternatives, such as nutritional supplements. I would be more than happy to assist you in this endeavor. In addition to taking a look at your use of medication, consider any reliance on nicotine, caffeine, alcohol, or “recreational” drug use. Resources: If you should need help breaking a substance addiction, make sure to ask how I can help or for referrals. Challenge: Adjust your schedule to accommodate adequate sleep time. Sleep debt has reached epidemic proportions in today’ society, with its destructive effects frequently downplayed or ignored. The frightening truth is that lack of sleep in nothing to snore at. Even modest sleep deprivation is linked with in increased risk of headache (Cephalgia 1990; 10:157-60.) In addition, missing sleep can produce fluctuations in blood sugar levels that mimic that of diabetes. (Lancet 1999; 354:1435-9.) Sleep debt is also associated with decreased mental function and an increased likelihood of psychological disorders such as depression and anxiety. And, if that isn’t enough to convince you to head for your pillow, consider this: Forgoing sufficient snooze time may hasten the aging process. “We found that the metabolic and endocrine changes resulting from significant sleep debt mimic many of the hallmarks of aging,” explains researcher Eve Van Cauter, Ph. D. “We suspect that chronic sleep loss may not only hasten the onset but could also increase the severity of age-related ailments such as diabetes, hypertension, obesity, and memory loss. (Lancet 1999: 354: 1435-9). How much sleep is enough? Although each individual has a unique “body clock” most people function best with at least eight to nine hours during a 24-hour period. For some, it’s best to sleep only at night. Others’ circadian rhythms dictate diving sleep between nighttime and a daily nap. The key is to listen to your body. Notice what sleep patterns leave you feeling most rested and alert; then, work to schedule your day accordingly. At the very least, commit to hitting the hay a half hour earlier each night this week. Challenge: Rid your cabinets of junk food, and identify five destructive nutritional habits to tackle. Start this week by ridding your cabinets and refrigerator of junk foods, high-fat products and sugar-laden items: And don’t replace then during your next grocery trip! Instead stock up on whole foods – avoiding quick foods, frozen foods and processed foods. If you only have access to nutritious items, you’re more likely to adopt healthy eating habits. Next, take a minute to identify five destructive nutritional behaviors you struggle with. After documenting each one, brainstorm a healthy alternative to each habit. For example, if your lunch beak often involves swinging through McDonalds drive-thru, consider packing a fresh green salad topped with grilled chicken or tofu chunks. Or, if you skip meals often, block out mealtimes at regular intervals. After you have identified the habits you wish to change and what alternatives to replace them with, commit to trying out these new approaches for one week. The boost in energy you experience may persuade you to keep up some – or all – of them for good! Resources: Dr. Andrew Weil’s Eating Well for Optimum Health (Knof) is a fantastic resource for anyone seeking to learn the truth about nutrition. Part Two of the 10-week Jump Start Plan Coming Next Week…Stay Tuned! Dr. Christine Hoch received her Doctorate of Chiropractic (D.C.) (1993) from The National College of Chiropractic in Lombard, IL. She also received her graduate and post-graduate certifications in Acupuncture from NCC. Dr. Hoch has been studying and practicing Chiropractic and Functional Medicine for the past 22 years. She has a special interest in helping those patients with digestive problems, recurrent infections, fatigue, weight issues and hormonal imbalances.